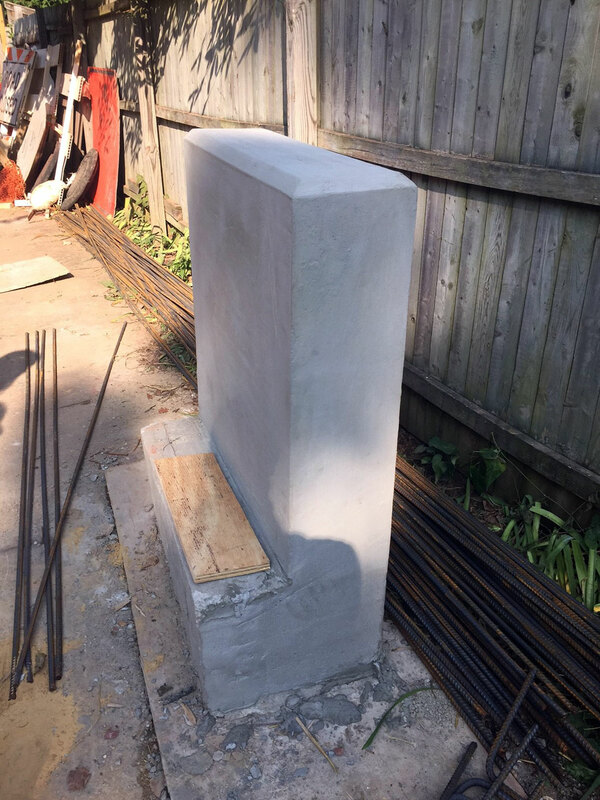 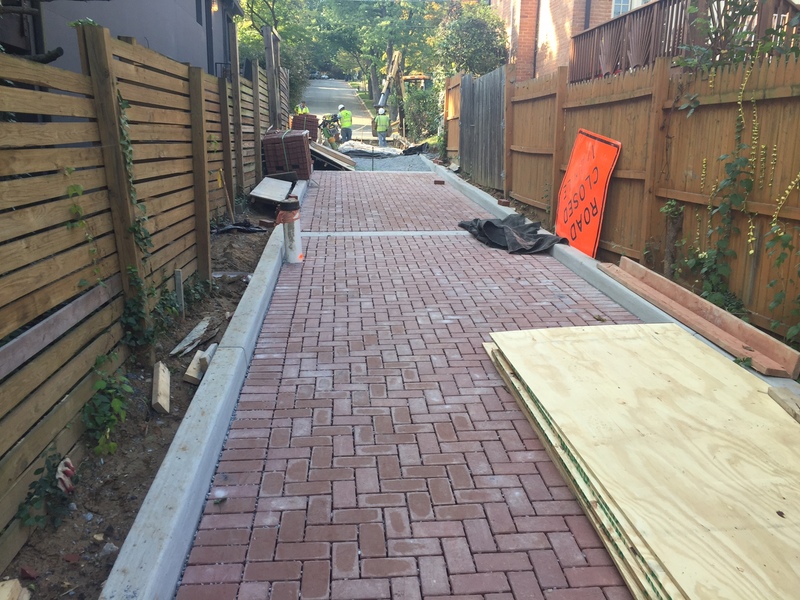 Rhodeside & Harwell’s design for Q Street Alley, a first generation green alley in DC, is being installed by DDOT. 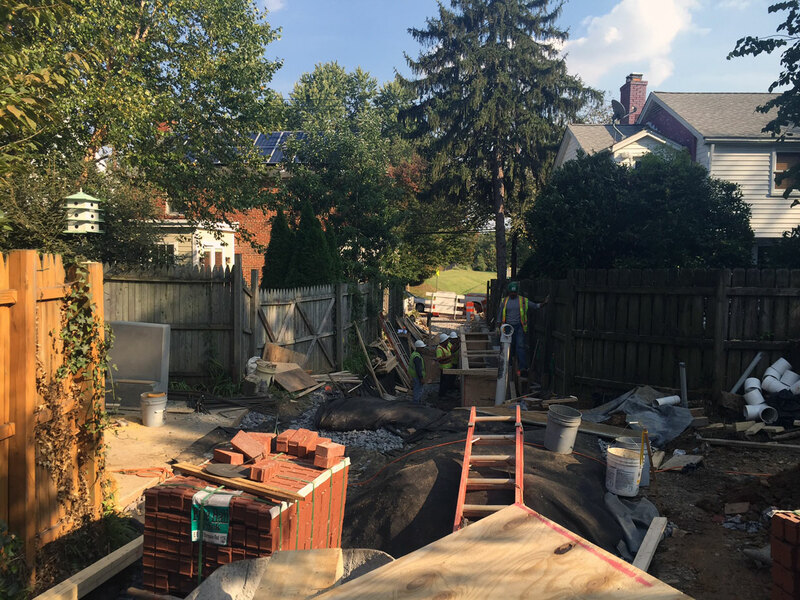 Our LID planters had to accommodate steep grade change (the illustration shows how it works). 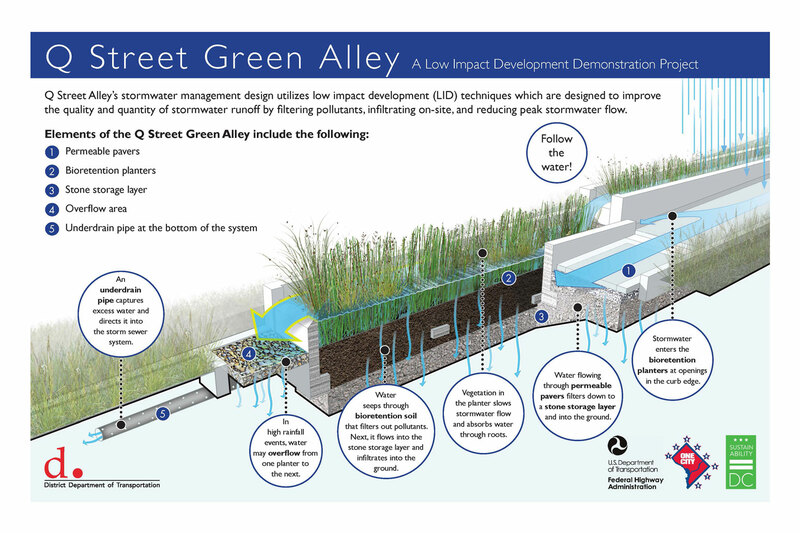 When finished, the alley will capture stormwater runoff from over 4 acres, filtering 14,000 sf of water each event.